This week is a big one in the automotive community, as SEMA kicks off tomorrow in Las Vegas. Chevy will be bringing the all-new Colorado Performance Concept to the show. 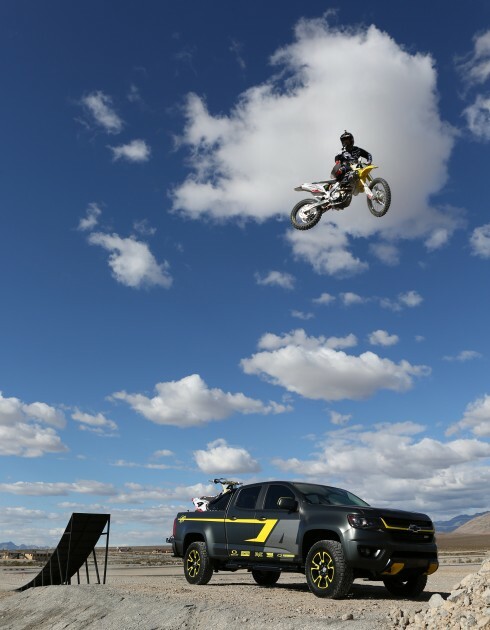 The mid-size truck concept was designed with the help of Ricky Carmichael of motocross fame. 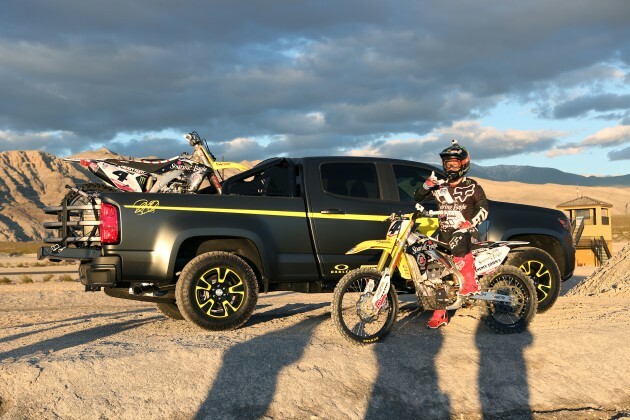 The intent was to design a truck that could transport a motorcycle, a mountain bike, and the required gear, but also had the mid-size functions that a full-size truck couldn’t offer. 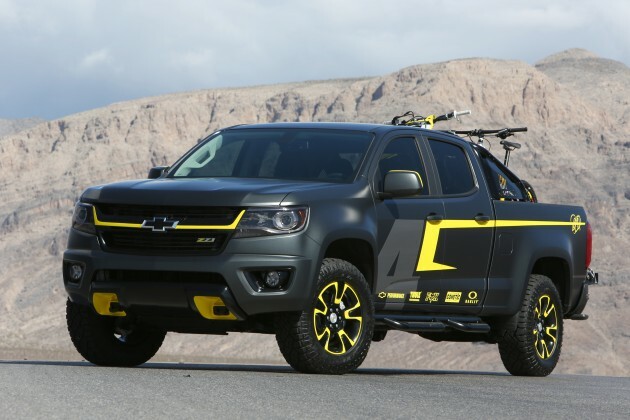 From that, the Chevy Colorado Performance Concept was born. The truck in question utilizes a 6’2” cargo bed on the crew cab configuration. 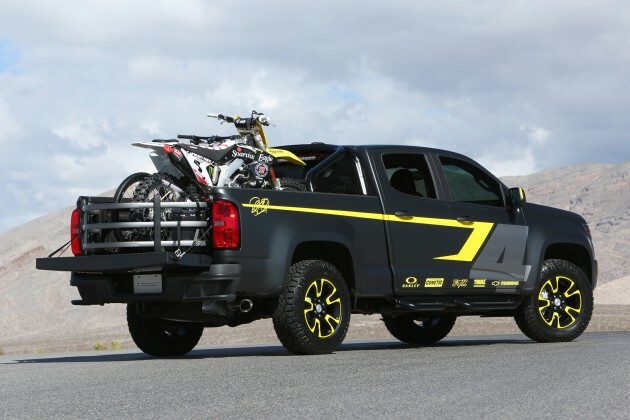 The concept has everything needed, from concept equipment that allows for bike mounting to a tailgate extender. 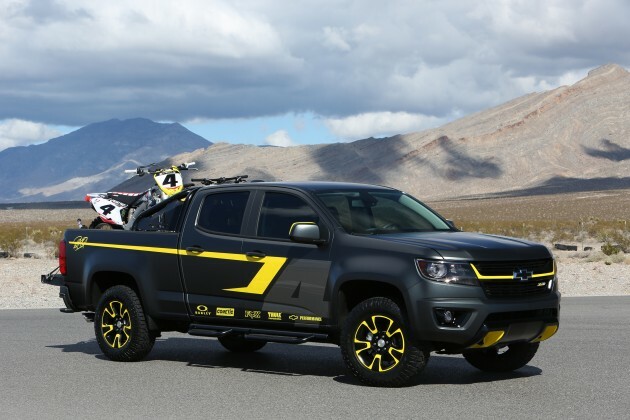 The truck gets a matte gray exterior paint job with high-gloss silver and yellow accents, plus a graphic that includes Carmichael’s signature. The concept also gets unique yellow highlights on the 17-inch Z71 aluminum wheels. Other features include a sport bar in the bed, yellow accents in the interior, and a rearview camera. Under the hood, the Chevy Colorado Performance Concept sports an available 3.6-liter V6, good for 305 hp and 269 lb-ft of torque. Interested customers will be able to have the accessories installed when they buy the truck, and the cost can be rolled into the monthly payments.